Horses are prey animals that run in herds and have a highly developed flight instinct. The self preservation of some horses can be very strong. The horse’s need for safety is programmed by nature. For this reason the horse is a very perceptive animal. As the horse is by nature a prey animal, humans are by nature predators and as a result we are often in conflict with each others needs. In starting a young horse or handling a young foal you are considering and understanding the need for the horse s self preservation and are developing the self confidence and trust in the horse in preparation for saddling and then riding. The curiosity and expression of the horse will replace the fear and uncertainty of the unknown. You build on this in stages keeping that curiosity and expression alive in everything that you do with the horse. Starting a horse is not just about the physical aspects, it is also about the mental and emotional aspects of getting a horse to turn loose and not having to defend himself through self preservation. The inside of the horse and how he or she feels is perhaps more important than the outside of the horse If we can present ourselves in a manner that is accepting to the horse we can help the horse to be more accepting of the human and our environment. Horses being herd animals have a social hierarchy within their herds established through the control of movement and so it is equally important to have this in our relationship and interaction with our horses to have both leadership and discipline. is about what happens after you have started your young horse and in many ways is a continuation of exposing a horse to different environments and developing a horses self confidence in different situations in preparation for the future. These environments may be from the ground and in other cases ridden. 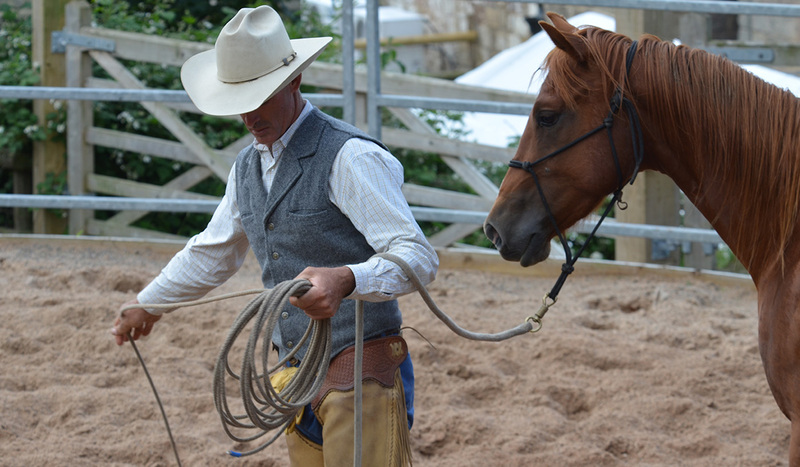 Problem solving can often be a combination of foundation training and going back to getting a horse more accepting of the human and our environment and or the saddle. The foundation stage should help to consolidate and build on what has already occurred through the starting process. The horse should grow in confidence, understanding and respect and in stature. They learn that there is always an answer (comfort) for every question or challenge asked. 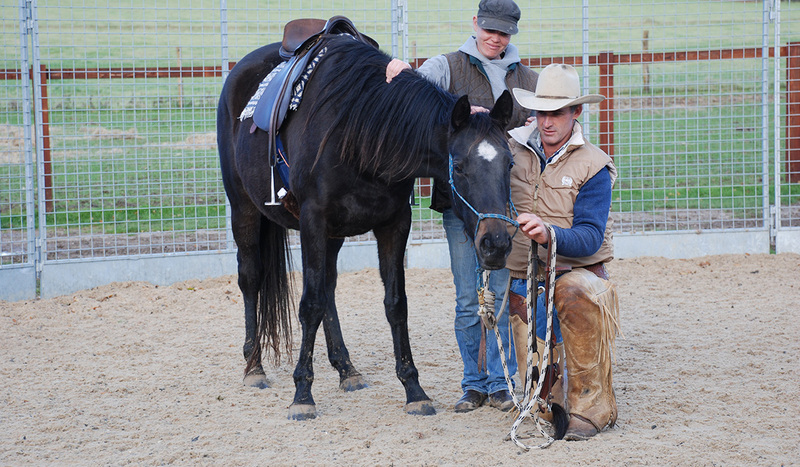 By exposing horses to a broad range of experiences and challenges you can help them to develop more self confidence. In his book Horses are my Teachers said Alois Podhajsky that a horse should be well ridden for five or six years in preparation for competition. The foundation stages of a horses training prepares a horse with basic manoeuvres that become a basis for more advanced movements at a later stage. In learning how to do things slow and right as opposed to fast and wrong, so that later it will become fast and right. You should not sacrifice form for speed; speed will come with time and preparation. Foals and weanling handling is on a per case bases and can give a young horse or foal the preparation for the future to assist with basic veterinary treatment then later the starting under saddle. 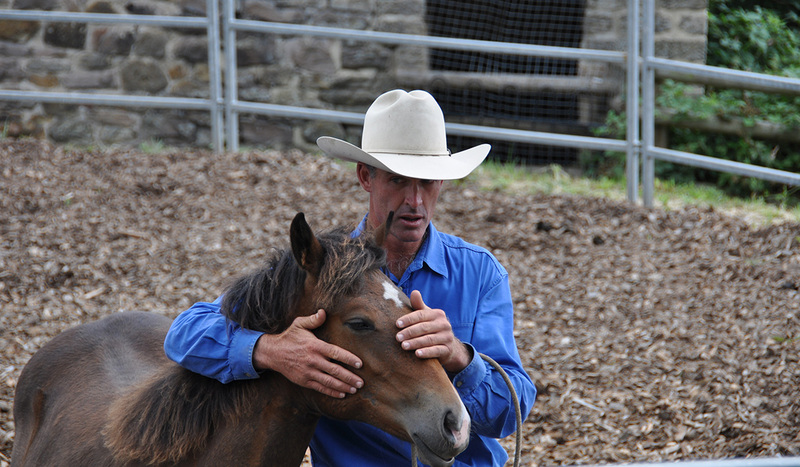 For further enquiries about young horses starting, foal handling and prices please email info@davidstuart.com.au and or bookings please fill out the young horse PDF form and email or mail.